A clean & simple layout for you today to play along with Sketches in Thyme's sketch #56! LOVE those colors!! Thanks for joining us at Sketches in Thyme!! Neat layout - it really lets the photos shine! Your use of color on this layout really makes these photos pop!! Thanks for joining us at Sketches in Thyme! Great LO ! Thanks for joining us on Sketches in Thyme. Carla, just perfect, clean & simple!! This is perfect, Carla! 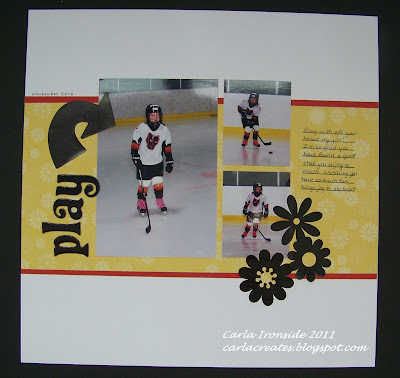 LOVE the way those bright, happy, color picks really stand out on your white base page! Thanks so much for playing along with us this month at Sketches in Thyme!